Your CIBIL score is a measure of your financial health. A good CIBIL report and CIBIL score of 750 and above can help you get easy access to credit. But did you ever wonder how the CIBIL score is calculated, or what are the factors that may take it downhill? Here are six things that you must know about CIBIL. First, you need to know the components of the CIBIL score and the weightage they carry. · The pattern you follow in paying off your credit card and loan EMIs has the highest weightage of 35% and thus is the most important factor impacting your CIBIL score. · Next comes the "credit utilisation" that carries a weightage of 30%. Credit utilisation ratio is arrived at by calculating the balance outstanding on your existing cards as a percentage of the total credit limit on all your cards. · The third factor carrying a weightage of 15% is the "length of credit" or how long have you been servicing debt. · The number of "hard inquiries" on your CIBIL report has a 10% weightage on your CIBIL score. Every time you apply for a new loan or a credit card, it gets registered in CIBIL as a hard inquiry and shaves off a few points from your CIBIL score. · Lastly bearing a 10% weightage on your CIBIL score is the "mix of credit". A healthy mix of secured and unsecured credit, will have a positive bearing on your CIBIL score. Now that you know what goes into the calculation of your CIBIL score, here a few mistakes you need to avoid to keep your CIBIL score intact. It doesn't matter how many credit cards you own, but if you develop a habit of not paying the total outstanding amount within the billing cycle, you may be heading towards a disaster. Ensure that you spend judiciously and make all credit card repayments on time. The same holds true for loans, missing even one repayment can bring your CIBIL score down substantially. Having a higher limit on your credit card, doesn't mean that you have to use it completely. This ways, you'll be inviting an overwhelming debt trap, as a higher credit utilisation means that more points being knocked off your CIBIL score. Therefore, keep a conscious check to see that your credit utilisation remains under 30% at all times. Do not commit the mistake of closing a credit card that was given to you by your parents once you are proficient enough to own a bunch of cards yourself. The reason being that if the card carries you name, it means that CIBIL has been recording your repayment history (assuming that your Mom or Dad have been footing the bill for the same). You simply need to ensure that you have cleared the balances as this will help you gain brownie points for maintaining good credit history. We are often credit card issuers and money lender to avail easy credit, but one should try to escape as much as possible unless you are in dire need of it. Applying for too many credit cards or loans will make you appear credit hungry and a considerable number of enquiries on your CIBIL report will bring your CIBIL score down. 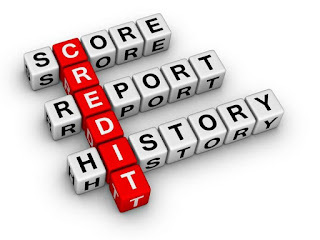 If you are thinking that you are better off not availing credit at all, you are wrong. In fact, it makes a lender wary because he can't access your credit history to asses you. On the other hand, what adds on to your CIBIL score is having a good mix of credit such as a home loan, car loan, a personal loan, etc. along with a maximum of two or three credit cards. Remember, the crux of maintaining a good CIBIL score is to use credit responsibly. If you are aware of your spending habits and are making timely repayments, you have little to worry about!